FREE Snickers Bar At 7-11 This Weekend! 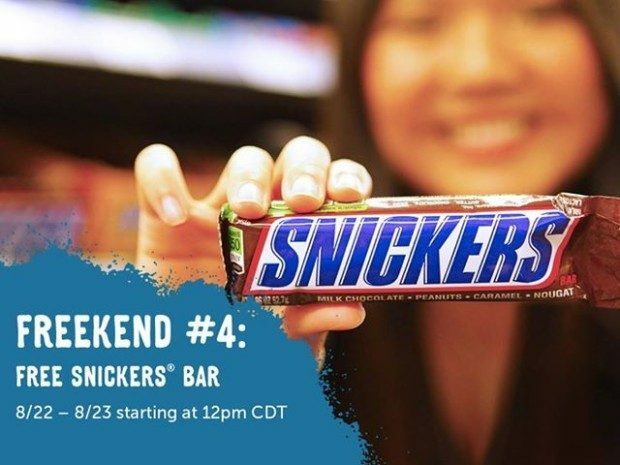 You are here: Home / FREEbies / FREE Snickers Bar At 7-11 This Weekend! Get your FREEkend on at 7-Eleven! Scan your app to get a SNICKERS bar Saturday and Sunday! This deal is FREE. You’re welcome! No purchase necessary. If you haven’t downloaded the 7-11 app – do it now! They have FREE stuff every weekend this month!